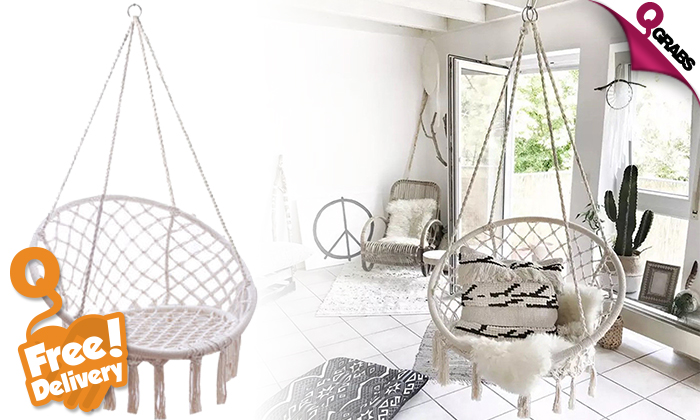 Indoor/Outdoor Hanging Chair Hammock with FREE Delivery! Items not collected/received by 30 Aug. 2018 will be forfeited and no refund will be given. 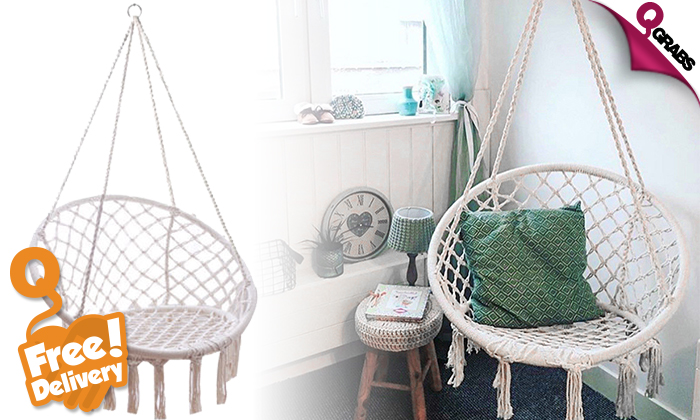 Get a Nordic style macramé handmade indoor / outdoor hanging hammock chair. Stylish, elegant & classy and mashed into one great product. Great for the living room, study, bedroom, lounge, patio, backyard, garden or pretty much any place you like to sit! Made of durable cotton fiber over a metal frame. Avoid keeping the hammock in the rain or direct sunlight for a long period of time. Get FREE delivery within Doha city limits. Please note that delivery does not include assembly & installation. At 50% off, you’ve now got 2 reasons to relax!